US policy on ‘Oppression in Tibet’ serves no purpose for it is ‘too little, too late’. US has to make a fundamental determination of Tibet’s status as an independent nation prior to Communist China’s invasion in 1950. 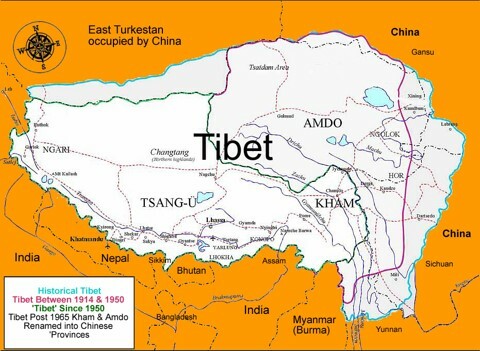 US has to declare the illegal nature of China’s conquest of Tibet. I ask the United States to state clearly that Tibet was not part of China before the invasion, while also declaring that China has violated international law. WASHINGTON (Sinclair Broadcast Group) – Members of the House Foreign Relations Committee’s Subcommittee on Asia and the Pacific met Wednesday to discuss U.S. policy toward Tibet. ; more specifically, working toward greater access, religious freedom and human rights for Tibetan citizens. Two bills pending before the subcommittee were highlighted. The H.R.1872 —Reciprocal Access to Tibet Act of 2017 would require the U.S. State Department to submit a list to Congress of senior Chinese officials in leadership positions for review. 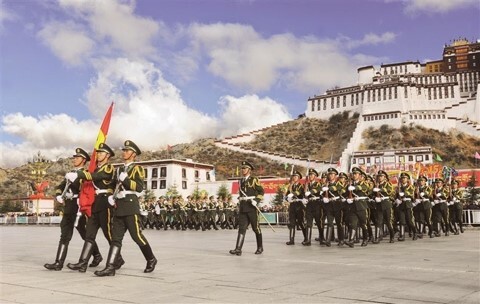 Congress would then determine the officials’ level of access to the United States contingent with the access U.S. officials are granted to Tibetan areas in China. The second bill, H.Con.Res.89, maintains that United States policy toward Tibet and treatment of the Tibetan people should remain a factor in U.S. relations with China. Subcommittee Chairman Ted Yoho, R- Fla., discussed the ways in which the Tibetan people have had their human rights and civil liberties encroached upon. The congressman added that the flow of information is heavily restricted to Tibet by China. Ranking Member of the Subcommittee Brad Sherman, D- Calif., said in 2015 China expressed they had no intentions of granting autonomy to Tibet. “China’s suppression of Tibet has continued and intensified. China has not held discussions about Tibet’s status with the Dalai Lama’s representatives since January 2010,” Sherman said. Sherman then asked the lawmakers to take a stronger stance with China when conducting trade business. “To think that we allow China to exercise that kind of control while giving them free access to our markets is something Congress needs to review,” Sherman said. 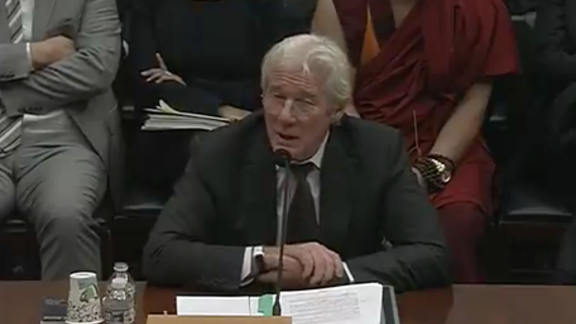 During Wednesday’s hearing, Gere spoke to the committee as the chair of the board of directors for the International Campaign for Tibet. He told lawmakers he was touched by their support from both sides of the aisle. He thanked Congress for awarding the Dalai Lama with the Congressional Gold Medal in 2007. He emphasized that the current human rights issues in Tibet strike at the core of American values. Gere also said that while President Donald Trump did discuss human rights with China during his most reason trip to Asia, he did not publicly highlight Tibet and the need for reopening a dialogue between Chinese officials and the Dalai Lama. He said it important for there to be reciprocity in diplomatic relations, not only in trade — but in freedom of movement and information. Hearing Witness Director of the Tibetan Service, Radio Free Asia, Tenzin Tethong, spoke candidly about the difficulty in getting fact-based news reports to the Tibetan people and the struggle their reporters go through to gain access to Tibet. Tethong claims that China has become more forceful with comprehensive censorship and propaganda in Tibet. Hearing witness and President of the National Endowment for Democracy Carl Gershman, asserted that China’s behavior toward Tibet has actually worsened in comparison to previous leaders. Gershman called on the United States to state clearly that Tibet was not part of China before the invasion, while also declaring that China has violated international law. “We also need to remember that the struggle for Tibetan rights cannot be separated from the fight for human rights and freedom in China,” Gershman said.